But the average Canadian owes about $1.75 for every dollar of income he or she earns per year (after taxes). How did Canada get there? 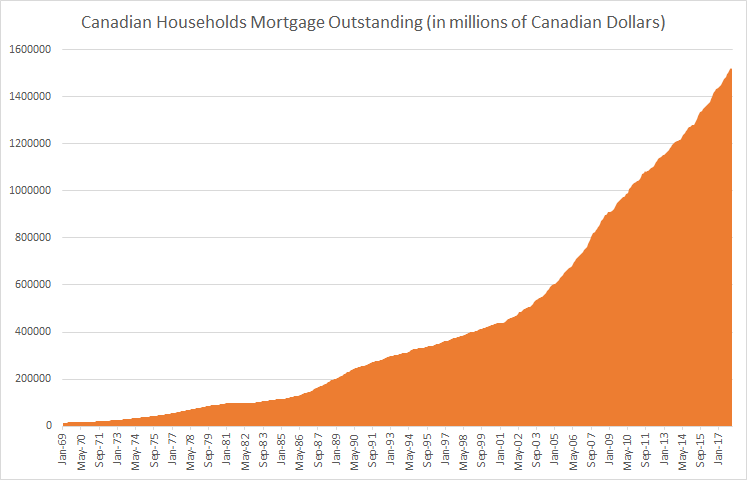 Look at mortgage debt outstanding which currently stands at C$ 1.55 trillion (Up 71% since September 2008) and at 102% of GDP (2017). Total Household debt is already over C$ 2 trillion. In the aftermath of the 2008 financial crisis, fiscal and monetary actions globally (in the form of Quantitative easing and ultra-low interest rates) provided stimulus and (apparently) helped the world avoid another Depression. Cheap money meant soaring borrowing. Since last July, the Bank of Canada has raised interest rates four times, taking the policy rate from 0.5% to 1.5%. The question now to ask is whether Canadian households can cope with potentially even higher interest rates? 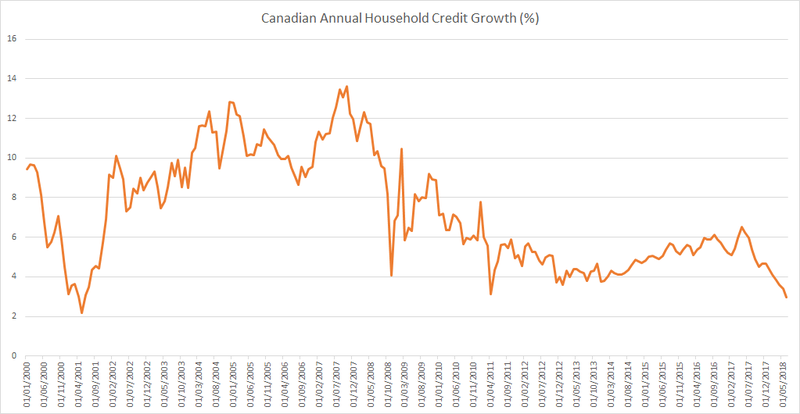 As per the Bank of Canada about 8% of households in Canada are “highly indebted” and owe 350% or more of their gross income, representing a bit more than 20% of total household debt. These are the people who would be most affected by an increase in interest rates. That 8% is the highest number ever (again as per the Bank of Canada’s own research). Recent changes to mortgage regulations include requiring people to show that they can service their debt at higher interest rates, which is good, but is it too little too late? Time will tell whether making people addicted to ultra-low interest rates was a good idea in the first place. I think it’s more then 8%. Retail numbers support at least three times this number. In Quebec alone over 40% can no longer pay down the principle on personal debt. Beware of bean counters.